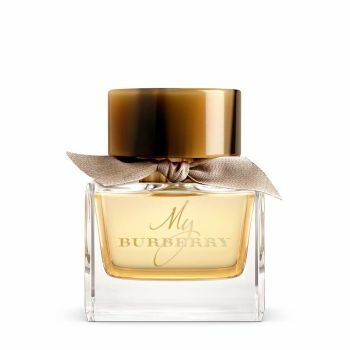 Inspired by the trench coat and its heritage of British design and craftsmanship, My Burberry captures the fragrance of a London garden after the rain. The scent is a contemporary British grand floral and features a delicate heart of rose, woven with an unexpected touch of geranium leaf. Top notes of sweet pea and bergamot fuse with a geranium, golden quince and freesia heart, rounded out with a base of patchouli and rain-tipped damask and centifolia roses.